Free simple do-it-yourself tutorials for Bridal Wear & Wedding Accessories. We hope you get inspired to create something EXTRAordinary. You can mix and match the Basic Silhouettes and accessories to make your own wedding gown, anniversary dress, formal, bridesmaid gown, or prom dress. Get creative! 6) get creative & just have fun! Remember, you are only limited by your imagination. Feel free to check out the site and I hope you will be INSPIRED to create something beautiful. If you have techniques, ideas, budget tips, or just want to share what you created, feel free to email me at ann@youtiquebridal.com. As I expand my tutorials, I hope you will join me on the fun journey. Now let's make something EXTRAordinary out of the ordinary! 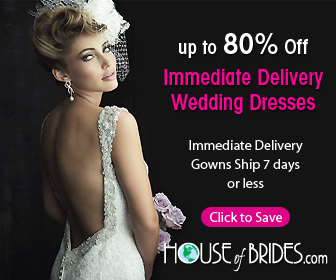 *DIY Wedding Gowns is the Education Department of Youtique Bridal & Formal. Youtique Bridal specializes in Custom Bridal Designs. Thank you for visiting!